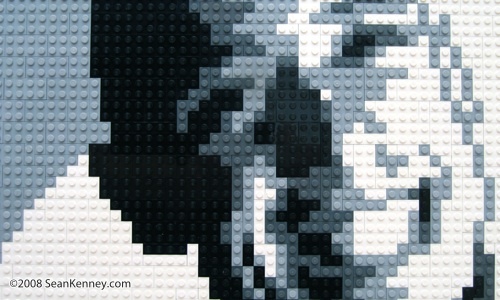 While I normally create more colorful LEGO portraits, this project was commissioned specifically in black-and-white. (Ironically, the subject was wearing a bold fuschia shirt!) 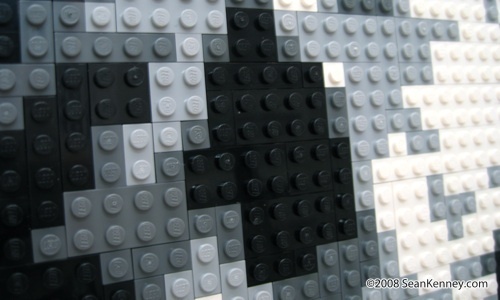 Perhaps his gleaming personality is color enough to brighten the image. It's not very large (only 15 inches) so it was clear that his facial features were not going to be the priority in this piece. It was more important to me that his bold and fun personality come through in the final result. 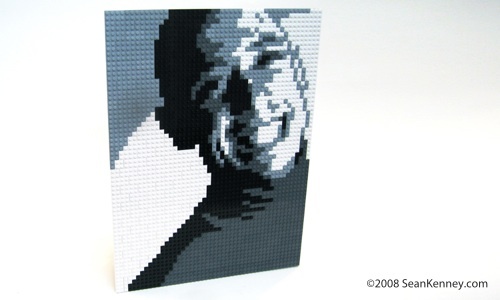 Commission your own and see yourself in LEGO bricks!